Our Leads are NEVER Re-sold to Multiple Companies. Let our Experts Customize a Strategy for you! We want to help you maximize your investment and make the most of your marketing budget by using the method of lead generation. Lead generation describes the marketing process of stimulating and capturing interest in a product or service for the purpose of developing a sales pipeline. Our specialty is getting customers to call for a particular service they are in need of. Let’s begin by with the definition of a lead. What does a lead mean to your company? Many companies have different definitions depending on their sales cycle, but standard definition is a qualified potential buyer who shows some level of interest in purchasing your product or solution. Our Method of getting you the leads your company needs is being found when your ideal customer goes searching for the solution you offer for their problem. Businesses benefit a lot when their phones ring because calls are a vital part for business regardless of the size. Many small and medium-sized entrepreneurs agree that 66% of SMBs rated calls are the best lead source, compared with 58% for online-sources (BIA/Kelsey). Mobile phones have become a great way for consumers to find businesses that meet their requirements. According to Google, advertisements with telephone numbers get 8% more views than those without. This fact implies that these customers have a plan to purchase and interact with the business. It is evident that the use of smartphones is on the rise. According to BIA/Kesley, by 2016 mobile search will obscure other search services and calls to business will be at 65 billion hence making pay-per-call investment an advertising inevitability. It is essential for SMBs to build the right procedure now if they need to optimize their ROI and increase lead generation. Pay-per-call is excellent for SMBs because it brings high-quality clients without costing fortunes, making it a savvy way of using marketing resources. Advertising was like gambling, where one hoped to gain more then what was spent on advertising with no guarantee. Several advertising avenues such as TV, radio and billboards are still that way. The marketer evades the risk of paying significant amounts for commercials that are unproductive through performance-based promotions. Pay Per Call is a better version of pay-per-click advertising from Google. It is a performance-based pay per call lead generation. Rather than pay for clicks, one is billed for real phone calls from real customers who are looking for services in real time. Simply put, we are experts at online marketing and do all the hard work so entrepreneurs, like you, can focus on servicing your customers. It is as simple as answering the phone and talking to live, qualified prospects. It gives you as a business owner peace of mind knowing how and where to invest advertising resources and keeps up with evolving trends. Pay per call lead generation is when a company like yours buys incoming calls from potential customers and only pays when a call is made. This type of pay for performance lead generation ensures that businesses only spend when a real opportunity arises. When such a possibility comes in, consumers are closer to purchasing and want to speak with someone immediately. These leads are real time and exclusive, and they are never sold to competitors. One is only for real calls from real clients seeking services. Wrong number calls, repeat calls, or Telemarketers are not billed. There is no sign-up fee, no maintenance fee, and no binding contracts. All you pay for is the outcome — that is 100% results based. If we don’t deliver hot leads for customers who are looking for your services, then you don’t pay anything. Lead generation is a rewarding but strategic form of marketing, so you have to keep up-to-date not only with the number of leads generated but also which leads are promising. This is what we offer our customers who trust us to generate leads for them. We have developed the ideal real time lead tracking system that keeps an extensive log of virtually all data from each generated lead. Here is a brief overview of the power that our tracking system puts in your hands. Our system is easily accessible online through browsers on your computer. We have also developed an app for Android and iPhone smartphones for our clients who may wish to track their leads on the go. The system opens up to a neat dashboard that displays different types of information about all the generated leads. Our real time leads tracking system does more than just log successfully generated leads. It notifies you of any calls that may be coming in in real time and proceeds to record the conversation between the potential customer and your company’s customer care staff. As such, you can listen to each call during your free time and assess the competence and efficacy of the customer care agents. In case there is no one at hand to answer the call, the system redirects the caller to a voicemail to ensure that the opportunity is not entirely lost. The system tracks each call to identify the location of origin and number. This is incredibly beneficial for marketing as one can categorize generated leads by their locations and other demographics. The system records conversations between customers and the company’s agents, but the log can build up and discourage you from listening to each call. If this is the case for you, then you can analyze each call by its duration and determine which calls are worth your time to listen to. 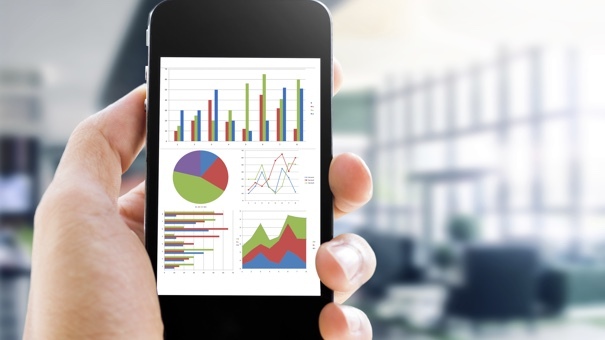 You can also generate reports quickly and efficiently for a formal analysis. The system organizes all information about leads and produces it in report form. The system allows you to set goals for factors such as the number of calls you expect. Once goals are reached, the system sends you alerts to your email address, after which you can perform a comprehensive analysis by generating reports. Generating leads without tracking them is like blindly undertaking a marketing strategy. 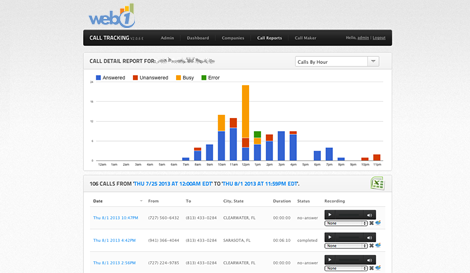 Our real time lead tracking system helps you know the efficacy of your lead generation efforts by logging different data and information about each call. You get to see information such as number and location of calls and even listen to the conversations for better management and customer care services provision. For any business to thrive, it must always strive to increase its income generation while at the same time maintaining the cost of sales at the lowest possible levels. This means that as a business owner, you need to be creative in order to generate more business without necessarily breaking the bank. So how do you ensure that your business is reaching as many new potential customers as possible? This is the question that we seek to answer for you. One thing that you are guaranteed to get from us is a plan that suits your specific business circumstances because we specialize in developing plans that are customized to suit all kinds of businesses. They ended up selling at a smaller margin in order to beat the competition. This is the most popular model for most internet lead companies. This is because any one lead can be sold to more than one agent therefore earning the lead company more money. In some cases any given lead can be sold to 8 clients or even more depending on the lead type and location. However, most companies do offer exclusivity upon request. These are most likely to be found with smaller lead companies that may not have a large volume of clients to sell leads to. They have an advantage over shared leads in that they do not have the competition factor, but this comes at an extra cost. It is important to note that exclusive leads are only exclusive to the lead provider and not the consumer. Therefore a consumer that generates your exclusive lead can call 5 other clients and share that same lead. At BlackStorm Design + Marketing we have a lead generation service that is different from any other out there. Our program generates EXCLUSIVE leads which means that you are likely to close more business with our leads because you are not in competition with anyone. Furthermore you are likely to sell at a healthy margin because we don’t sell the same lead to any of your competitors. Why should you choose BlackStorm Design + Marketing for Your Lead Generation? Our leads are absolutely EXCLUSIVE and are never resold. The lead calls you directly. We offer only qualified leads. Each lead we give you is perfect for you. You only focus on making sales and providing services. We take care of getting new leads. Our service increases your online presence. It is Pay-for-Performance meaning you only pay for something that leads to a good deal. We deliver leads in real time to give you the best chance of connecting with clients quickly. We have a lead replacement policy in case a lead turns out to be invalid. Our aim is to ensure that you get the maximum return on your investment. Get in touch with us and we will be thrilled to provide our high quality leads for you. You can also request a Free Strategy to learn more. The answer is simple. BlackStorm offers the customized lead generation services your company needs to succeed. Simply put, we are experts at online marketing and we do all the hard work so you can focus on doing what you do best… servicing your customers. If you want to generate qualified local leads consistently, get a predictable return on your hard-earned advertising budget, and work with an experienced team of business growth specialists who have your back, then you are at the right place. Hiring a salesperson in-house can be a sizable commitment in time, training and money. With BlackStorm Lead Generation there are no long-term commitments to a salary, unemployment insurance or payroll taxes, and there are no fringe benefits to pay.